Sustainable commercial development firm Skanska contracted Gagner Design to develop the brand strategy and identity for a unique multi-use development in Seattle. 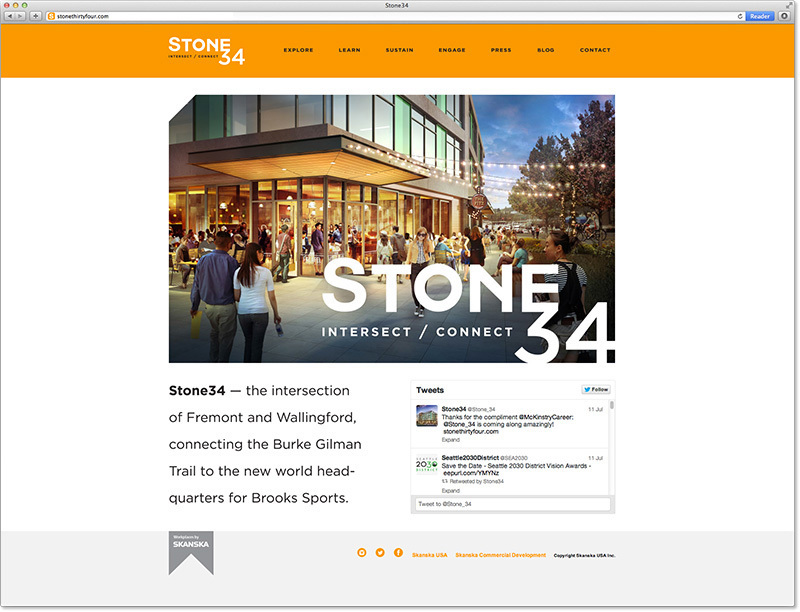 After establishing the brand platform, I recommended a name and tagline for the site based on the well-known intersection of Stone Way, 34th Street, and the popular Burke-Gilman Trail. The trademark was then developed to reflect the traits of the brand platform, especially the sense of intersection and connection inherent in the location. The unique site was recently leased to Brooks Running Shoes and featured in the New York Times.